When you are looking for a veterinary hospital you should be able to count on superior care and excellent service. 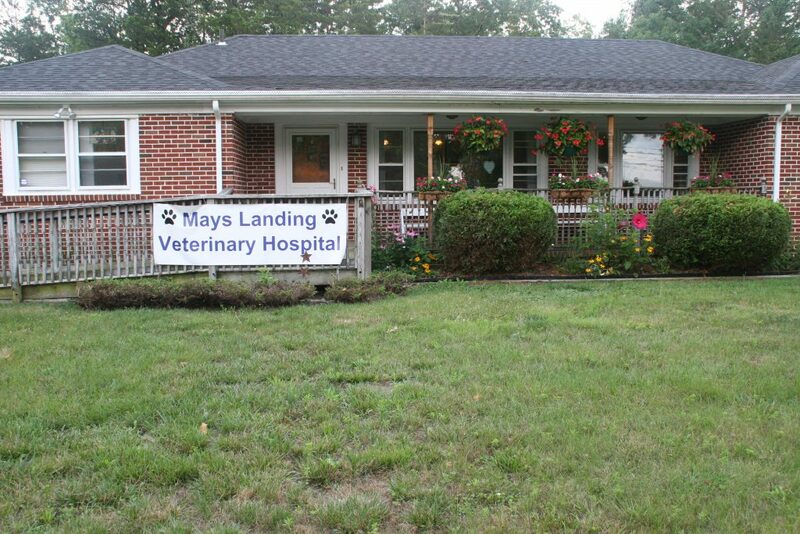 We at Mays Landing Veterinary Hospital in Mays Landing NJ have assembled an expert team of veterinary professionals to bring you the best possible health care for your pet. We have a state of the art veterinary facility which is clean, comfortable, and efficient. Call (609) 909-8907 or go to our contact page to schedule an appointment and we will find a time that is convenient for you. Your pet should have a yearly exam. This provides an opportunity to assure the health of your pet,diagnose problems early and provide preventative care. Bring in any medical records or pertinent information you have of your pet when you come in for your appointment. Dr. DeLorenzo can work with whatever information you have. To make this easier you may fill out our online patient welcome form ahead of time. Upon your arrival you will be greeted by one of our receptionists and check in. A technician will call you into the exam room and get your pets weight, temperature, pulse, respiration and a detailed history and the reason for your visit. You will then see Dr. DeLorenzo or Dr. Grant who will fully exam your pet and address any medical problems. Always be sure you understand your pets medical condition. Never hesitate to ask questions of our veterinary team. In some circumstances, Dr. DeLorenzo will refer you to a specialist who has advanced expertise in areas such as internal medicine or surgery.